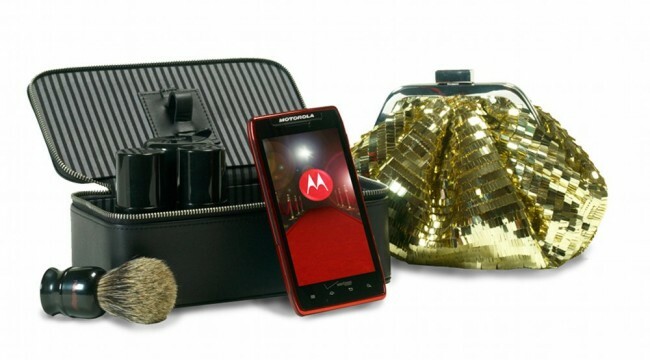 Motorola – as they did last year with the XOOM – will hand out special edition DROID RAZR MAXX (our review) devices to select Oscar nominees this weekend. The limited version will come in red (get it, red carpet?) and pack all of the 3300mAh juice that the normal RAZR MAXX has. The female recipients will take home this special RAZR in a gold and “glamorous” sequined pouch while the boys will receive a shaving kit (how clever). If you want to take one home for yourself though, Motorola will kick off a Twitter contest this Thursday (February 23). Five (5) of you will walk away as the proud owner of a red RAZR MAXX. Follow them on Twitter for details. Want the Galaxy Note on Verizon? There is a Petition for That.